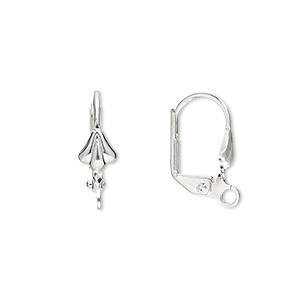 Ear wire, silver-plated brass, 18mm leverback with 8x4mm shell and open loop. Sold per of 240 pairs. Item Number: H20-8041FD Have a question about this item? 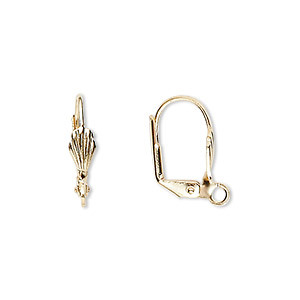 These are secure, stylish hinged ear wires that will add just the right amount of flair to your earring designs. 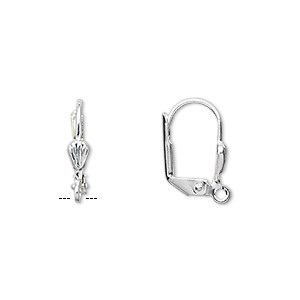 Ear wire, silver-plated brass, 18mm leverback with 8x4mm shell and open loop. Sold per pkg of 50 pairs. 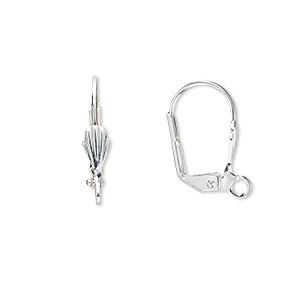 Ear wire, silver-plated brass, 18mm leverback with 8x4mm shell and open loop. Sold per pkg of 5 pairs.